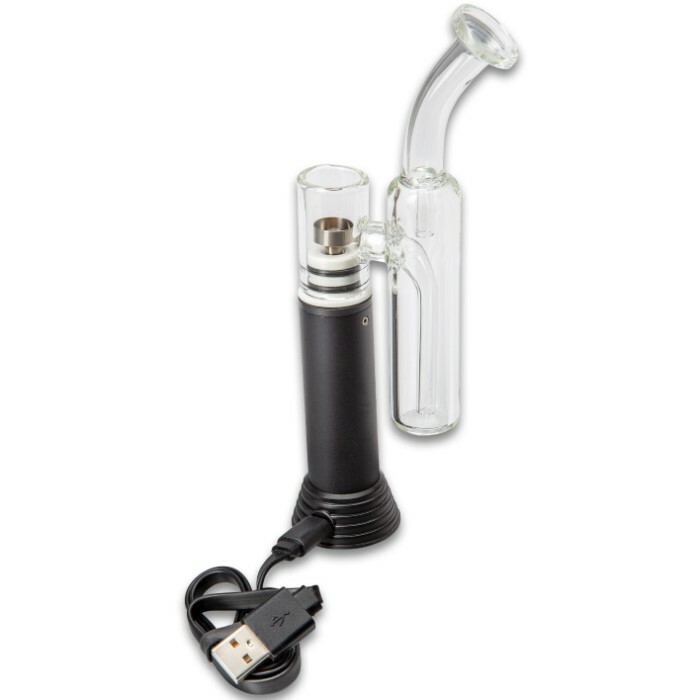 Vape Ninja Shinobi Extract Vaporizer - Glass Pipe, Variety Of Nails, Removable Dab Tool, USB Charging Cable | BUDK.com - Knives & Swords At The Lowest Prices! 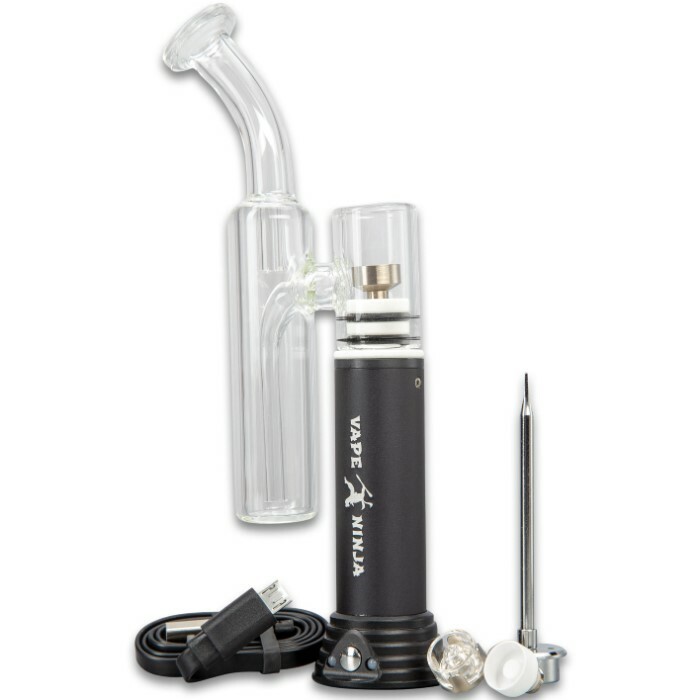 The Vape Ninja Shinobi Extract Vaporizer allows you to experience the benefits of essential oils and concentrates aromatherapy with ease. 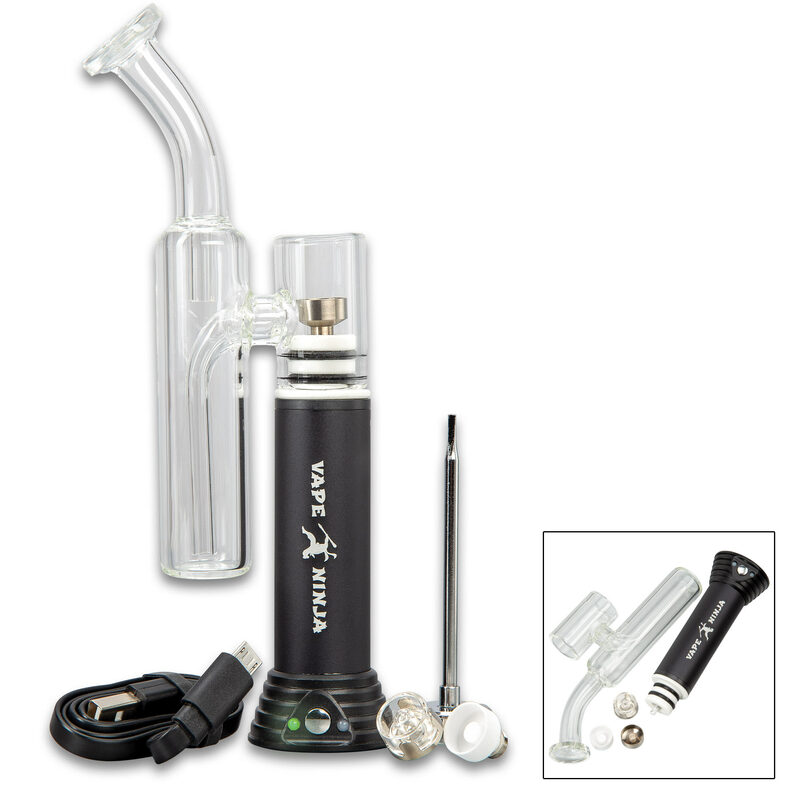 The vaporizer has a magnetic stainless steel carb cap with a removable dab tool and a glass pipe attachment. It comes with a variety of nails including a grade two titanium, medical grade ceramic and a high-end quartz. The unit charges easily with the included USB charging cable.